It’s Thursday and that could only mean one thing. 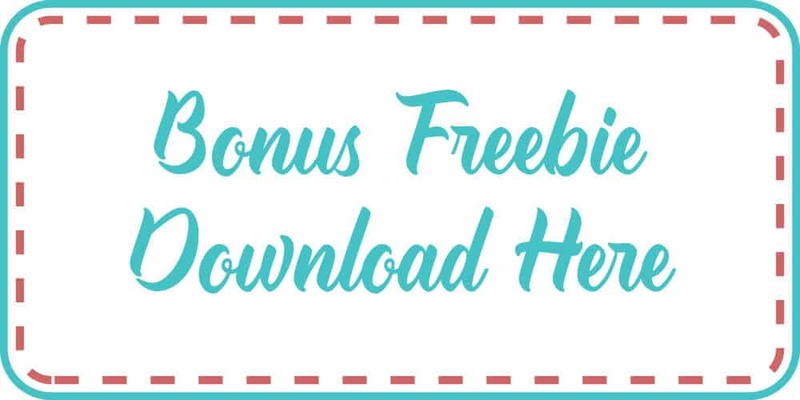 It’s freebie time. 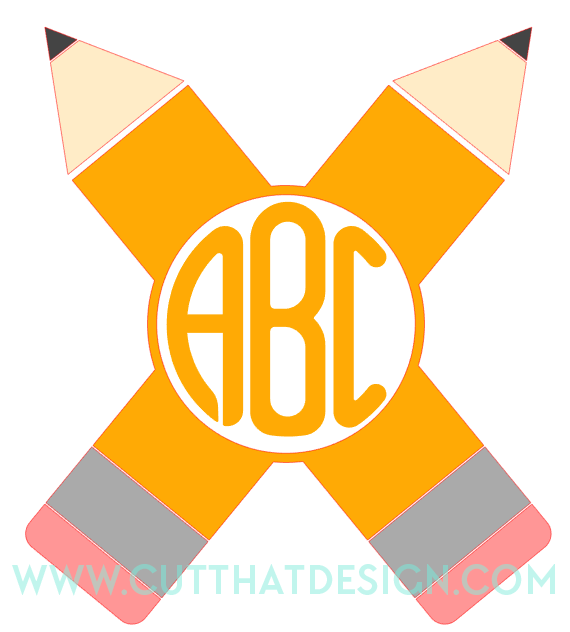 This week I have put together a tutorial on how to Design a Crossed Pencil Monogram In Silhouette Studio. It’s a fun one, and it doesn’t even take that long to do….once you know how. 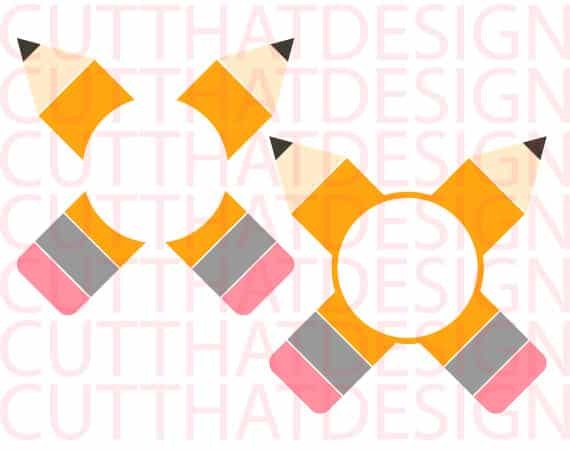 This tutorial is perfect for your Back to School, end of year projects, or anyone who has a slight obsession with Pencils. 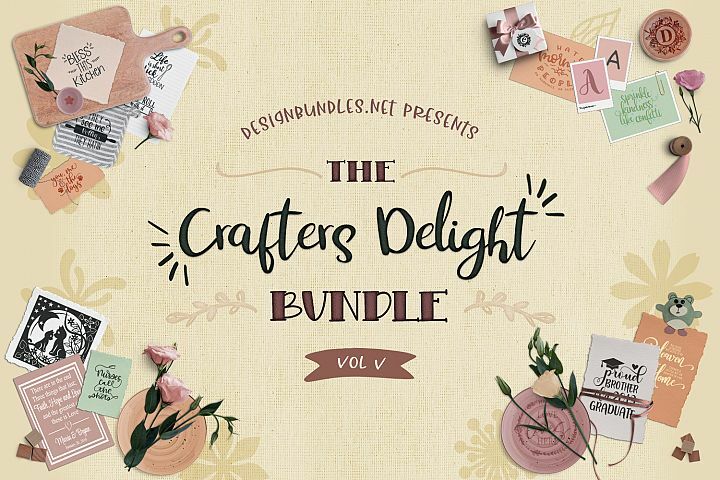 I have one with pretty looking notebooks, I buy them and never write in them (anyway enough about me) there’s also a freebie you can download at the end of this tutorial. Now on to the tutorial….open Silhouette Studio as usual. 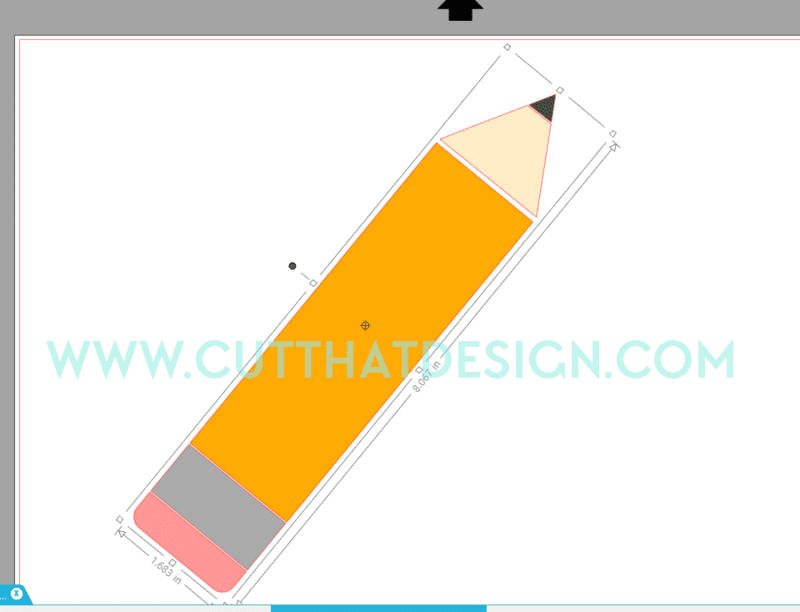 1; First, using the rounded rectangle tool, draw a rectangle to the approximate length and width you want your pencil design to be. I’ve filled the rectangles in so I can get a better feel for the design. 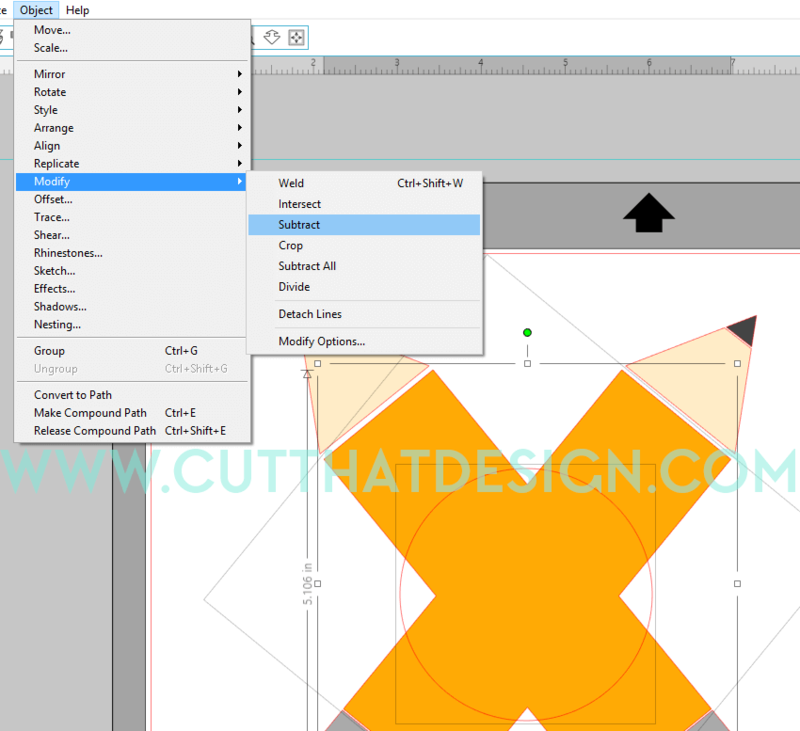 Use the Polygon tool to draw a triangle (drag the slider to 3). Right click on the triangle and select convert to path. 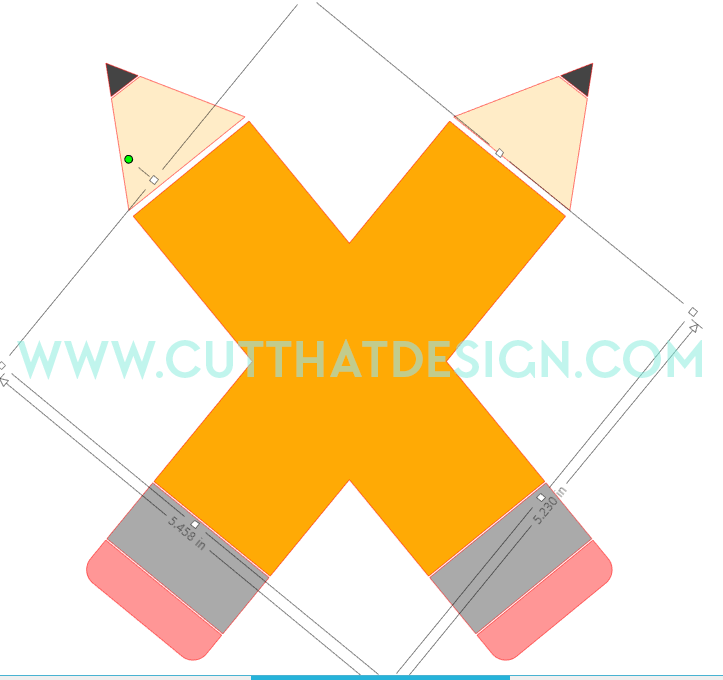 Rotate and adjust the triangle to match the height of the pencil. 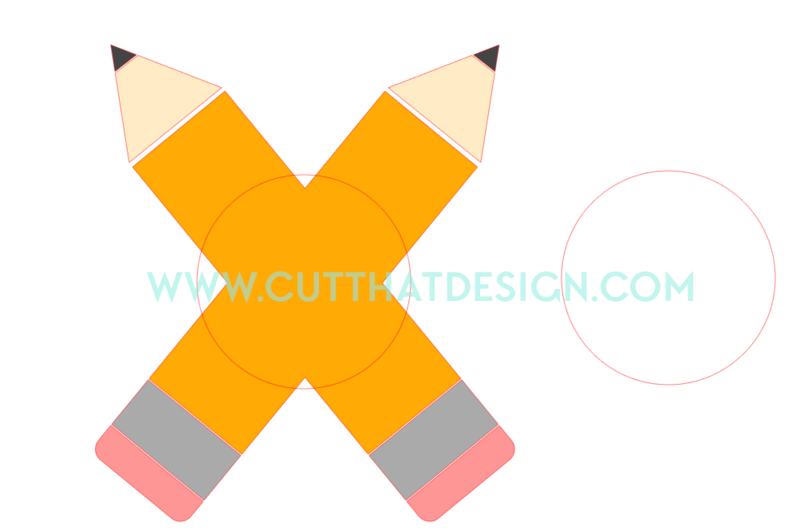 Here’s the completed pencil, now you can leave it like that if you don’t want to add a monogram. 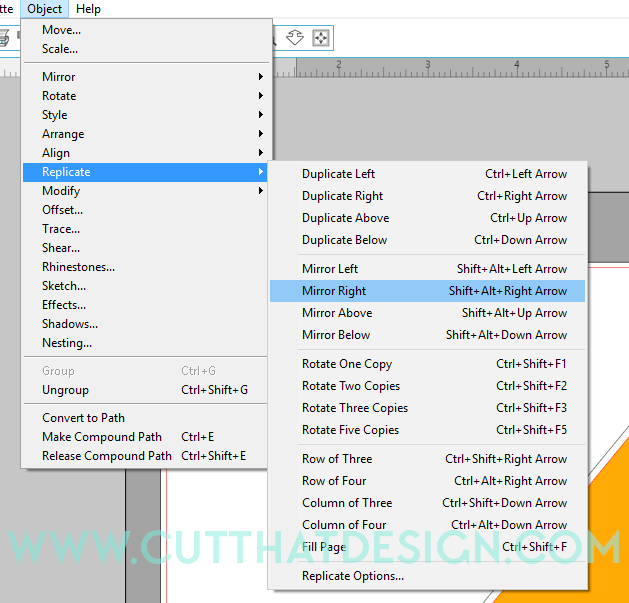 You could even add a ‘shadow’ layer using the offset tool to add a little bit of dimension. Perfect if you’re cutting with Card. 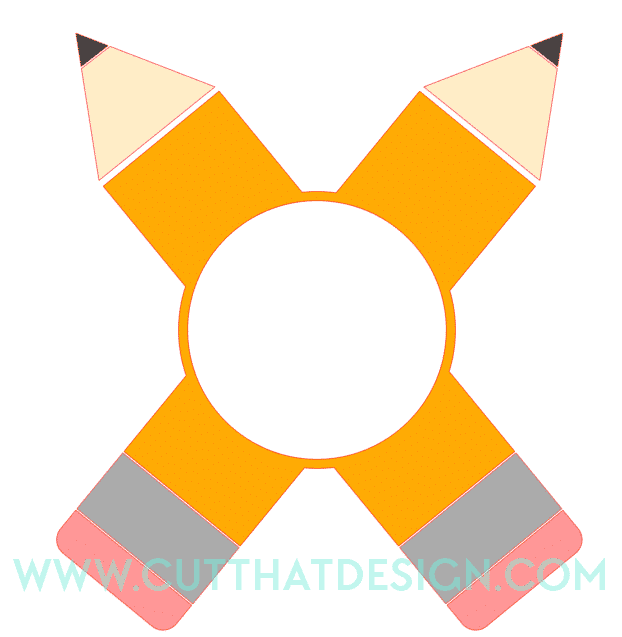 Scroll on to see how to create a cross pencil monogram with your Silhouette Software. Next you need to mirror the image, select the pencil, go to Obect – Replicate – Mirror right. Place one of the pencils on top of the other until you are happy with the placement. Once you’ve selected both, click weld. 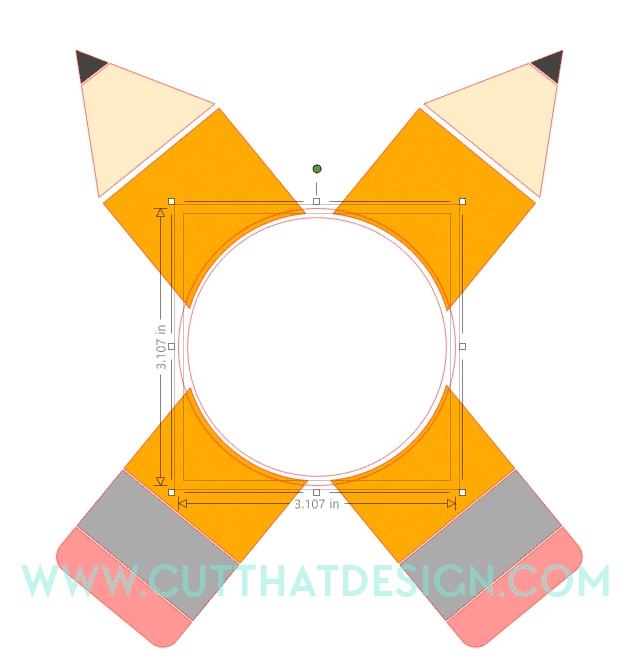 Select the circle and the middle, welded, part of the pencil. Go to Object-Modify-Subtract. 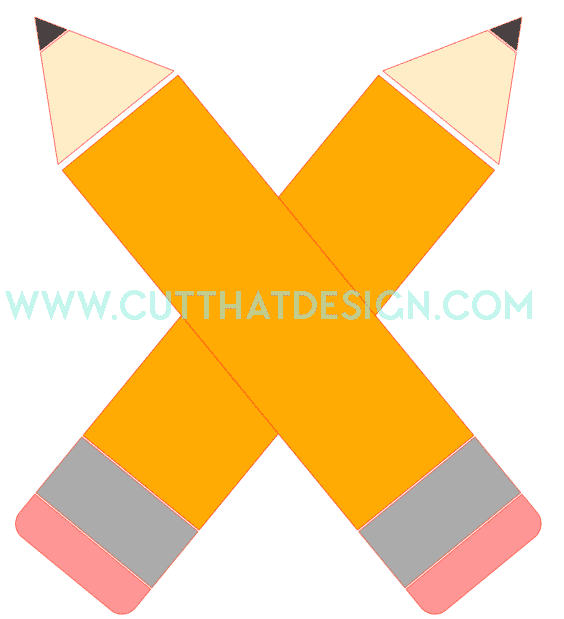 Here’s the finished ready to cut design…..
….want to see another version of this design, then keep reading. Select the circle you duplicated earlier, create an internal offset of about 0.10. 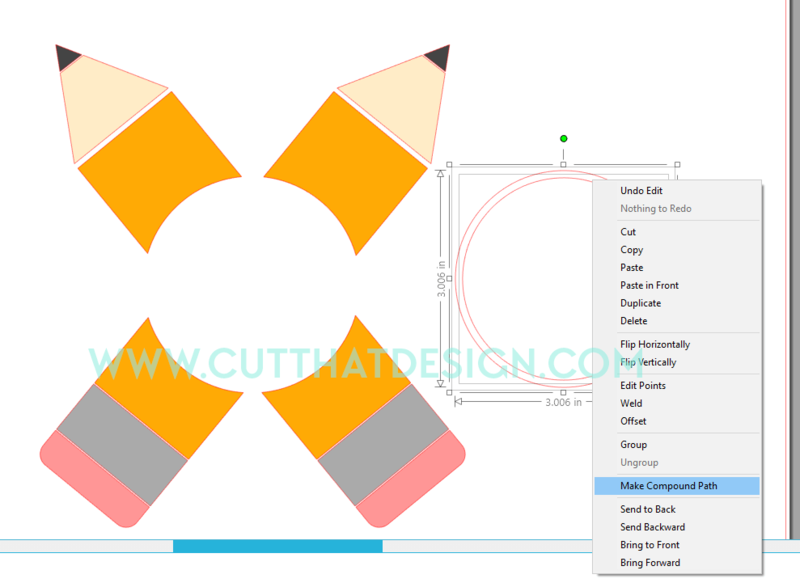 Select the middle parts of the pencil and the circle and click weld. Here’s the final welded monogram design. You can now personalise with the monogram font of your choice. 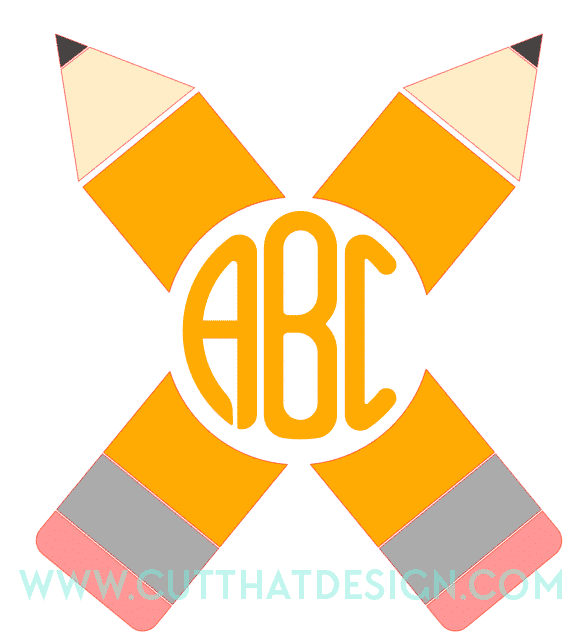 This weeks Free SVG/DXF files are the below Crossed Pencil Monogram Designs. 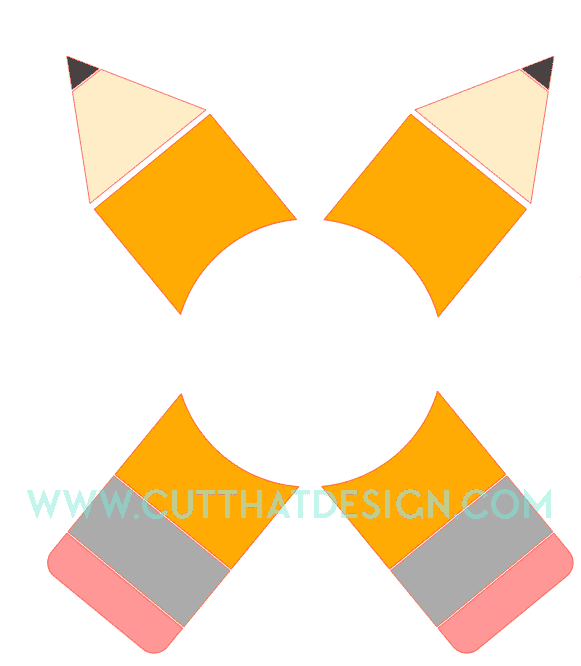 I design all my files in Adobe Illustrator where I then convert too SVG and DXF files. 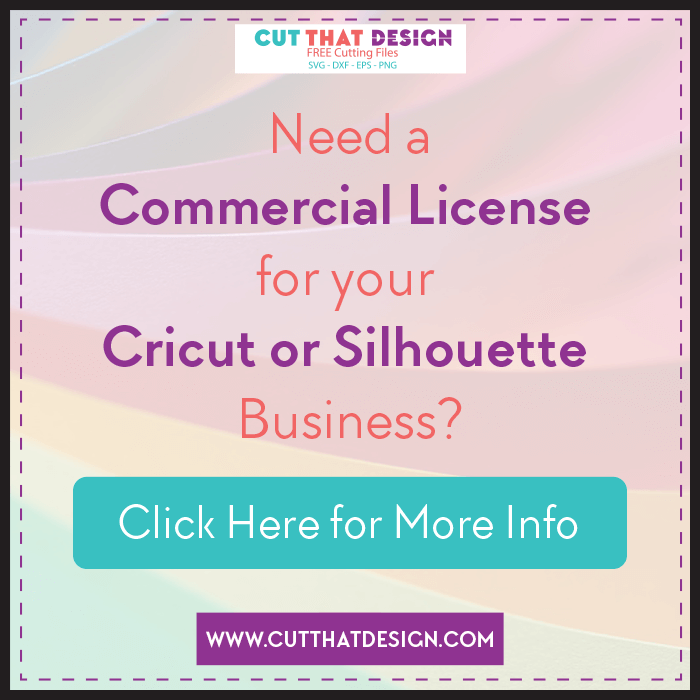 In my tutorials I like to show you how you can create similar Designs within the Silhouette Studio software. Files are for personal use only. 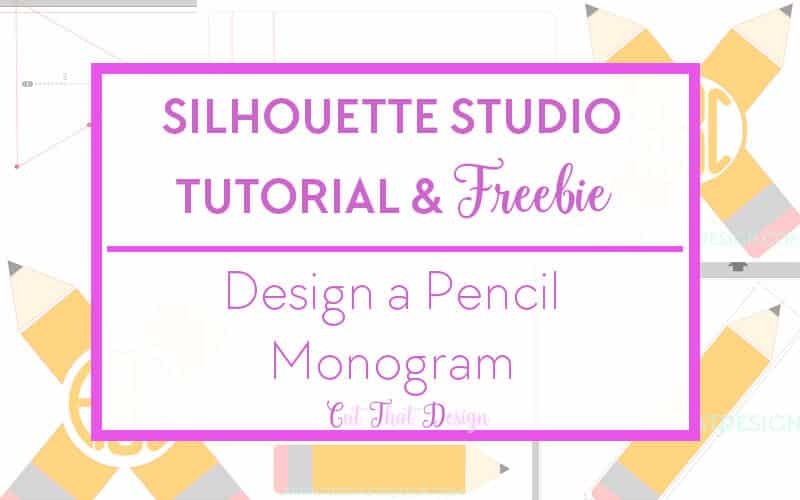 Thank you so much for reading, I really hope this post has inspired you to experiment with designing in your Silhouette Studio Software. Feel free to share your creations with me on Pinterest,Facebook or Instagram, I’d love to see ?